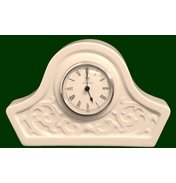 Here you will find a lovely range of Royal Creamware Clocks. Each case made from the beautiful pottery and the designs of such would sit well on a mantelpiece, windowsill or sideboard. 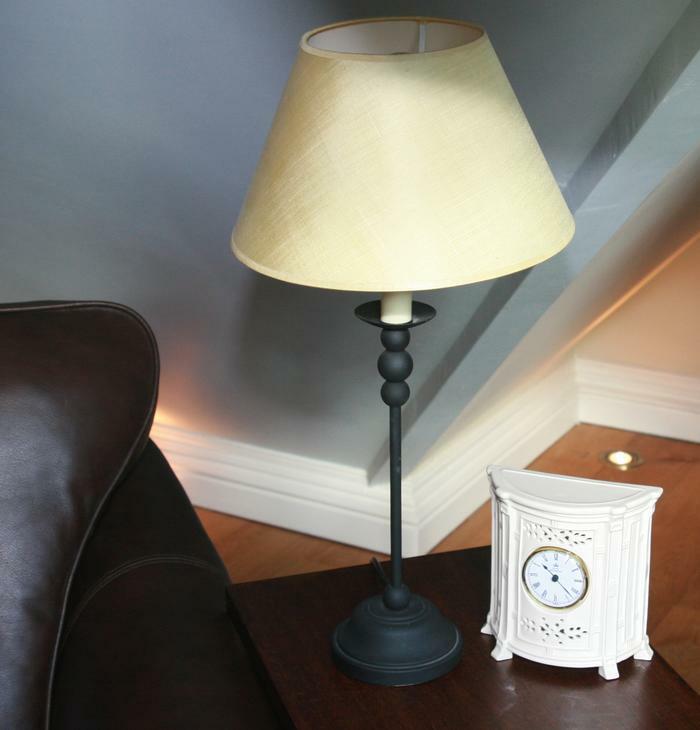 Some smaller designs such as the Daisy Mantle Clock sit particularly well in a bedroom setting. These Royal Creamware clocks may use modern quartz clock movements instead of historically correct clockwork movements, but the cases are still made by potters using all the tradition and handcrafted detail of the 18th Century. This range of beautiful, top quality Creamware timepieces features a mix of moulded floral designs, scrolls and pierced openwork patterns. 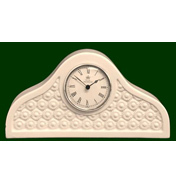 These ceramic clocks from appearance are just naturally pieces of art; with their simple lines and pastel cream colour they fit in with most decorative situations, with different shapes, sizes and designs to choose from you should find one to suit you. The Temple Clock with curved front lines and small amounts of piercing work would sit well above the grandest of fireplaces, or take pride of place in the study on a desk. Keep track of time in style with these wonderful timepieces brought to your from Royal Creamware. Temple Clock in a homely setting!